These motivated students, chosen from across the country, will simultaneously compete at three of the Department’s U.S. national laboratories: Argonne National Laboratory (Lemont, Illinois); Oak Ridge National Laboratory (Oak Ridge, Tennessee); and Pacific Northwest National Laboratory (Richland, Washington). The objectives of the competition support the larger needs of the DOE and national infrastructure. These include developing a workforce of cyber professionals with competencies relevant to the energy sector, raising awareness of the cutting-edge cyber security and critical infrastructure happening in the DOE and national laboratories, and driving innovation in this area through industrial partnerships at all stages of research and development lifecycles. “Protecting the nation’s critical infrastructure from cyber threats is a priority for the Department of Energy. We’re proud to partner with key stakeholders in developing the next generation of a skilled workforce that can safeguard the electric grid.” — Bruce J. Walker, Assistant Secretary of the Office of Electricity Delivery and Energy Reliability. The competition further supports the development of a cyber-enabled workforce by using critical infrastructure-focused scenarios. In these scenarios, the competition adds realistic components — such as cyber-physical infrastructure, lifelike anomalies and constraints, and actual users — to create a unique experience for all competitors. These realistic components, which are unique to the DOE’s competition, test students’ knowledge and skills against challenges cyber professionals address daily. This year’s scenario focuses on a simulated natural gas computer network, which students will compete to build and defend while maintaining service for their customers (played by volunteers). Teams will be judged using a point-based system; the team with the most points at each laboratory site will be recognized as winners, and an overall national winner will be announced the following day. “We’re excited to see so many students showing an interest in cybersecurity. 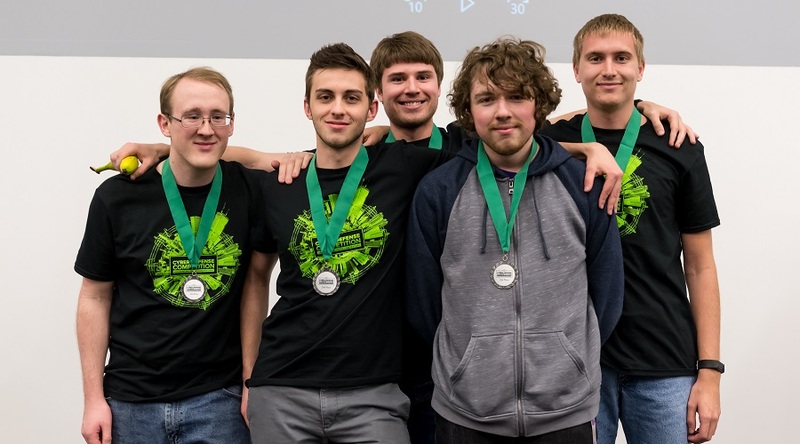 Win or lose, these students stand to gain many new skills — including better technical and teamwork skills — plus a greater working knowledge of what it takes to be a cybersecurity professional in the field, which makes it a win for everyone,” said Argonne cybersecurity expert Nate Evans. Another aspect of the competition is an industry fair that brings together key stakeholders from industry to engage with the high-caliber student talent competing. The fair serves as an entry point for students to network and learn about workforce opportunities, including internships, graduate fellowships and workshops at the DOE and elsewhere. For more information about the competition, visit the DOE Cyber Defense Competition website. This competition is sponsored by the DOE Infrastructure Security and Energy Restoration (ISER) division of OE in partnership with Argonne National Laboratory, Oak Ridge National Laboratory and Pacific Northwest National Laboratory.